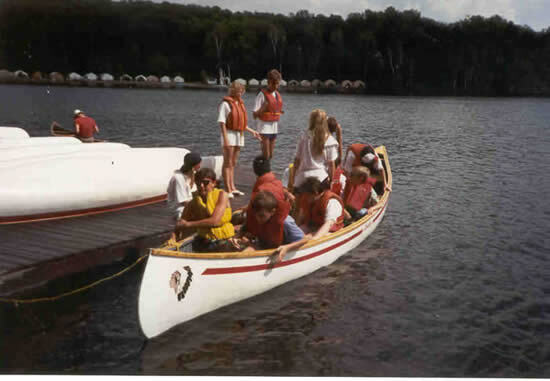 JoLt 1990 – Canada « Jolt Trust – Expanding horizons, enriching young lives. They held on tight as the water rushed up at them and as they were tossed from side to side: Exhilaration mixed with fear and finally a tremendous sense of achievement as they survived the fifteen foot waves. Eighteen disabled and disadvantaged youngsters had overcome yet another challenge on their month long ‘Journey of a Lifetime’ across Canada. 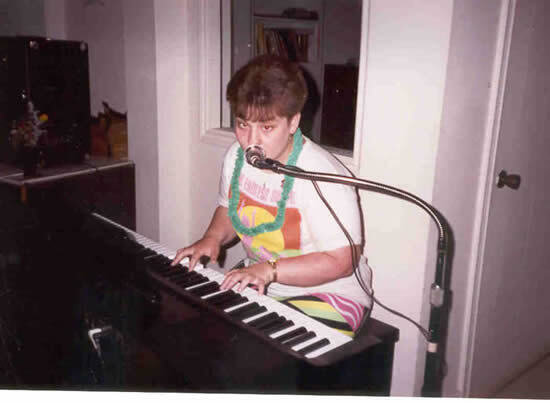 Two were completely dependent on wheel-chairs; four suffered from Spina Bifida; one from Cerebral Palsy; four were profoundly deaf; one not only copes with deafness but has little useful sight; two were nearly blind – one of whom was brain damaged; a deaf youngster who was also a victim of sexual abuse and others who have known neglect and physical, mental or sexual abuse. Accompanied by a doctor, two teachers and a physiotherapist they had, for the first time in their lives, travelled thousands of miles from home, helping each other to successfully complete their happy and challenging adventure. The first few days in Halifax, Nova Scotia, were to introduce the group to the friendliness and generosity of the Canadians, which they were to experience all the way to their final destination – Vancouver. A twenty-two hour train ride ended in Montreal when it was discovered that two of our wheelchairs had disappeared, having been removed, by mistake, at an earlier station. But, by using the back-up wheelchairs of two other members of the team, we proceeded to Ottawa where the wayward wheelchairs arrived by taxi, at 1.00 am! 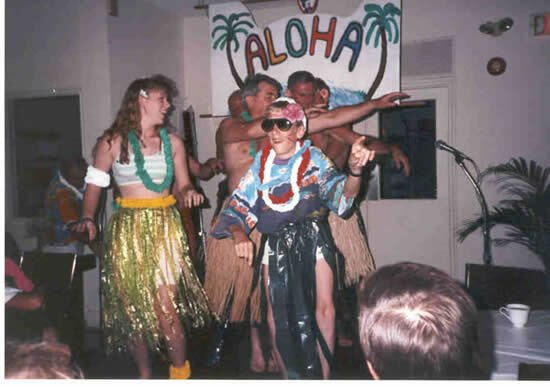 The Variety Club of Canada provided ‘home-stays’ where the group were thoroughly spoilt; the use of the Variety Village Sports Complex and Residence in Toronto and a splendid farewell dinner in Vancouver. A tearful goodbye to home stay hosts and on to Kingston on Lake Ontario and a cruise around the Thousand Islands and a visit to Fort Henry where college students, dressed up in period costumes, re-enacted the battle exercises and strategics of a former English garrison. Toronto provided a chance to feel like true North Americans as we sat eating hot dogs and pizzas, watching the Toronto Blue Jays and Texas Rangers from a private box at the Skydome Basketball Stadium; which was followed by dinner in the revolving restaurant of the adjacent CN tower. But, for teenagers, what could be as exciting as a day at Canada’s wonderland – adventure theme park where we tried roller coasters that spun us upside down, horizontally and vertically at what seemed like 100 miles an hour, and water rides soaking us to the bone. The ‘maid of the moat’ boat ride to the base of Niagara Falls ended the Ontario leg of our journey. From city life, across the Prairies, to Calgary, Alberta and the first view of the Rockies at Banff. Suddenly the meaning of all those geology lessons came true. There were glaciers everywhere. The creaking, slippery ice as we walked on the Columbian ice fields and drank from the trickling glacial streams-transported us to a different world. In the foothills of the Rockies we spent some of the happiest days at Camp Horizon, Bragg Creek. A small log cabin founded by the kinsman of Calgary that provided many challenges for disabled children. 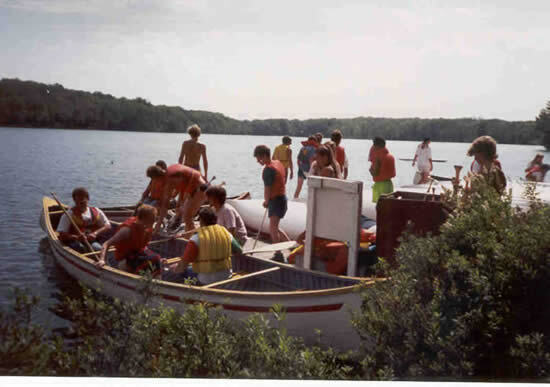 We all attempted high and low rope assault courses, a hike through an Indian Reserve woodland awash with wild strawberries; rafting to a nature reserve island for an overnight camp under the full moon and rock climbing. Reluctantly we left camp to complete the last leg of our journey. Only a few more days left to cram in the sights of Vancouver and Vancouver Island. But, there was still time to stop at length and throw each other into the water fountain; to visit the killer whale show; to relax on a steam train ride and to cruise into Vancouver harbour before the farewell party and our flight home. It was a greatly different group that returned to Heathrow. Lasting friendships had been formed, a bank of happy memories had been built up and many challenges had been overcome. Our minds and bodies had been stretched to a happy exhaustion. The success of the journey owes much to the teamwork, courage, good humour and personalities of the youngsters and adults who participated. We wish every happiness to the young people who contributed so much as well as benefited so much from the journey and we hope that they will continue to be able to turn to us in times of trouble and in times of happiness. We owe much to His Majesty King Hussein of Jordan who has continued to support our work since the JoLt Trust was founded in 1983. His Majesty and the Royal Family are much in our thoughts as they cope with His Majesty’s ill-health. Without the help of many individuals, companies and charitable trusts, the 1990 “Journey of a Lifetime” would never have been possible. We are greatly indebted to them and to our many friends who have worked so hard for us. We thank you all for your support and for your friendship. Above all we thank you for caring. Participants: Martin Arkell, Jason Benstead, Neal Caws, Joel Crompton, Manus Gallagher, Clare Hallendby, Ann Howard, Winston Ko, Clare Larkin, Alison Page, Ian Parley, Pauline Rider, John Sanders, Amanda Speer, Lee Sullivan, David Tandy, David White. Leaders: Clive Ridgeon, Claire Walford, Rebecca Morris, Dave Wardle.